The Future of Blockchain–Is It Clouded for Insurance? As a lesson for how DLT can be internalized and implemented, the insurance industry can look at the measured way in which cloud was evaluated, rejected, and then slowly adopted. Across all industries, business-to-business (B2B) organizations are now not only rapidly recognizing, but adopting, cloud. However, as other industries began utilizing and adopting cloud for data redundancy, privacy/security, scalability and much more, the insurance industry hung back, waiting. Traditionally risk-averse, insurance companies are rarely among the early adopters. Even in the face of overwhelming evidence of business benefits, in terms of cloud, there was broad, sweeping distrust of the technology, of the providers, and fundamental misconceptions about who owns data stored in the cloud, who has access to it, and how much control an insurer must sacrifice to gain limited benefits. Whatever transpired in the past, cloud is now more widely accepted in the insurance industry. And, many CIOs are even asking, “Why didn’t we do this sooner?” No more server rooms. No more capital investment in hardware. Unlimited storage capacity and computing power on-demand and at a low cost. Further, some of the burden of cyber security can be shared with cloud providers. After all, insurance companies would be hard pressed to do better than Amazon in protecting data, considering Amazon Web Services (AWS) is the world’s largest cloud provider, controlling more than 30 percent of the market. Blockchain, or distributed ledger technology (DLT), is the latest “next big thing” facing an uphill battle as it infiltrates insurance. Predictably, the insurance industry is holding DLT at more than arm’s length, and even investigation into or evaluation of the technology is limited right now. Likely stemming from its relationship to Bitcoin and definition as the foundation of the cryptocurrency, part of the problem is the view by many that blockchain is “FinTech,” and that any usage must be somehow financial in nature. Not surprisingly, the insurance industry is less than receptive to this messaging, pushing back that not all FinTech is InsurTech. For blockchain to be useful, insurers must now look beyond the financial filter or lens through which it has traditionally been viewed. While the term “blockchain” in and of itself is one that demands attention in today’s insurance circles, use of the term “DLT” instead begins to move the needle away from associations with FinTech. As noted, insurers are rarely early adopters, but the fast follower position is comfortable for much of the industry. As use cases begin to emerge, insurers tend to pay more attention. Familiar companies and individuals reaping benefits encourages actionable curiosity. Many outside the industry might call it lack of imagination, but from the inside, relying on concrete examples of how any new technology can be successfully applied/utilized to solve business problems is just the insurance industry’s way of playing it safe. Herein lies the current conundrum for DLT. Despite news stories about the largely tier-one, company-supported Blockchain Insurance Industry Initiative (B3i), without successful use cases most insurers will remain skeptical. And, as with cloud, a lack of understanding about how DLT works fosters concerns about how much information recorded on the blockchain is public, about who owns the data or can access it, and about the ultimate security of the data. But, even as these questions are being asked, rather than adopting a wait-and-see position, now is the time for insurers to explore DLT. How? By looking at use cases with trusted partners, or by investigating membership in B3i, as it looks at best practices and setting minimum standards for usage. At a foundational level, DLT works largely because the network across which information is shared or distributed provides safety and security of the data recorded on the blockchain. This is a technology for which insurance in particular should feel a strong kinship, considering the industry’s mission to mitigate and homogenize risk by distributing it across large groups instead of letting individuals shoulder the burden alone. In that regard, blockchain could be a robust solution for distributed data needs among multiple parties, perhaps in a syndication- or consortium-driven business model. There are signs and stirrings of movement toward adoption in the industry. 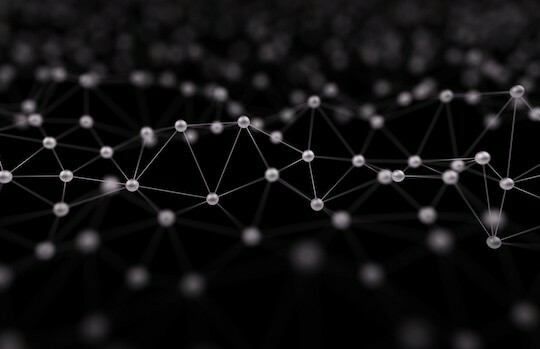 London-based InsurTech startup Everledger started the proverbial ball rolling by using blockchain to record unique features of diamonds, including cut and quality, and to verify ownership and transaction history. Now expanding beyond diamonds to other high value items, Everledger is the first widely-known use case which demonstrates applicability to insurance independent of a financial transaction. By establishing immutable provenance of a diamond or other high value item using blockchain or DLT, the opportunity for fraud is reduced significantly, and insurers save money in underwriting or assessment as well. Additionally, the insurance industry is starting to use DLT to enable smart contracts which speak to the speed needed by policyholders and the audit trail compliance required by legislators. As a viable use case, consider a cat bond which uses a blockchain smart contract as an impartial trigger. Today, new solutions utilizing DLT are expanding and accelerating, from on-demand insurance apps to robust policy administration systems. The applications are literally limitless. The insurance industry must decide if fear (of failure and of being left behind) will enable improvement or deliver new capabilities. Absolutely there is a risk, but DLT can be tested and explored in thoughtful and responsible ways. Accordingly, insurers could set up test environments, innovation labs or work with InsurTech startups and services partners able to segregate and help manage exploration and business value, perhaps initially outside the mission-critical operations of the enterprise. As a lesson for how DLT can be internalized and implemented, the insurance industry can look at the measured way in which cloud was evaluated, rejected, and then slowly adopted. The ongoing lessons of technology adoption, including cloud, suggest that the combination of apprehension on one hand, and motivation for growth and cost efficiency on the other, often drive competitive advantage. Blockchain is likely on the same trajectory. Arun Balakrishnan // Arun Balakrishnan is CEO of Xceedance, an industry-focused consulting and managed services provider to insurance organizations. With an intimate understanding of the business of insurance, Arun and Xceedance help insurers optimize processes, streamline operations, and leverage advanced technology in support of growth and productivity.